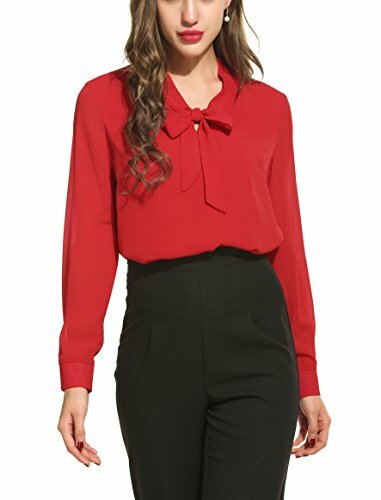 Feature:Vintage bow tie stand collar, long sleeve, pullover style, solid pattern, chiffon fabric,loose fit casual work bloues. If you have any questions about this product by ACEVOG, contact us by completing and submitting the form below. If you are looking for a specif part number, please include it with your message.